All betting odds, lines and props available on FanDuel Sportsbook. - Iowa is 8-8 against the spread (ATS) this year in road or neutral-court games. - Iowa is 8-9 ATS this season as an underdog. - Tennessee is 5-1 ATS this season in games where it was a favorite by a total of six to 10 points. - Tennessee is 7-6 ATS this season as a favorite on a neutral court. All Iowa-Tennessee betting odds, lines and props available on FanDuel Sportsbook. - Away Team (Iowa) Total Points: Under 73.5 (-110) – Although Tennessee ranked near the middle of the pack in points allowed this season (118th in the nation), this Volunteers team only surrendered 69.5 points per game (PPG). 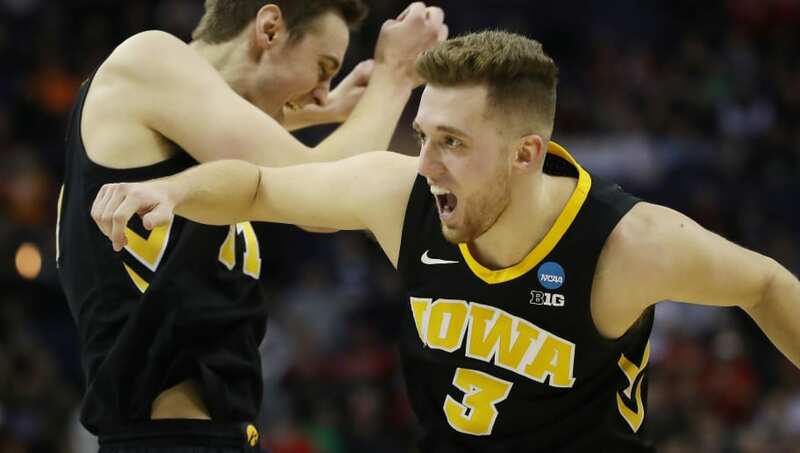 In Iowa's first NCAA Tournament game against Cincinnati, the Hawkeyes shot the lights out and racked up 79 points, just 0.7 points below their season average of 78.3 PPG. If Tennessee can play their usual defense, Iowa could struggle from the field and go under this number. David Hayes is not a FanDuel employee. In addition to providing DFS gameplay advice, David Hayes also participates in DFS contests on FanDuel using his personal account, username DavidWHayes. While the strategies and player selections recommended in his articles are his personal views, he may deploy different strategies and player selections when entering contests with his personal account. The views expressed in their articles are the author's alone and do not necessarily reflect the views of FanDuel.